Small flakes are very easy and quick to cook. Versatile to use in a multitude of dishes. 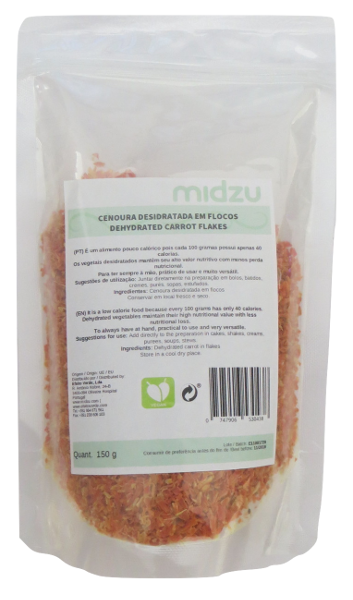 Suggestions for use: Use directly in the preparation of dishes that take any liquid that allows the rehydration of the tomato like soups, sauces, roasts, stews, rice, gazpacho. You can also rehydrate with warm water for about 20 minutes and use in pizzas or salads, for example. Store in a cool, dry place in low light.